I now blog on my own site https://solola.ca. Feel free to link to that blog as this one is no longer active. Being able to attend //build/ last week was a dream come true. 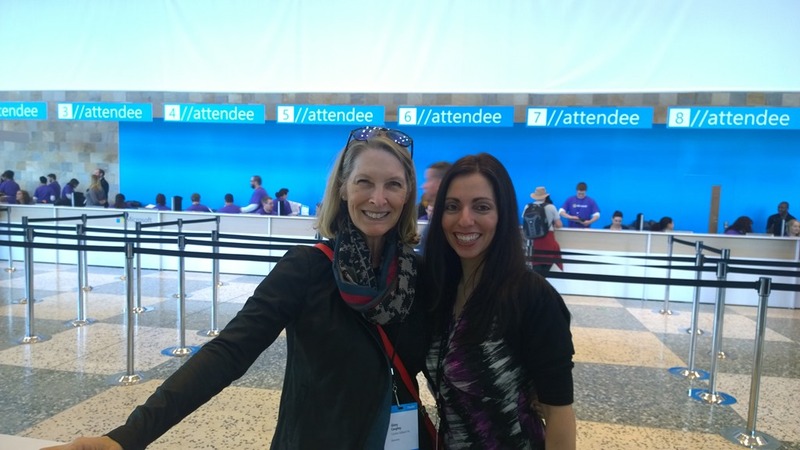 In the 18 years that I have worked in the industry, this was the first time I was able to attend a major Microsoft conference. In the past, when working as a full time employee, I had never received approval from employers for this type of professional development. Being a consultant changed the playing field. I didn’t need to ask anyone for permission, or have someone else approve the cost. I didn’t have to beg, bargain and plea for the time off. I was the requester and approver all rolled into one. Suffice it to say, I wasn’t going to let the opportunity pass me by. I had a feeling this was THE year to be in San Francisco, instead of watching it from the comfort of my home. Within 45 minutes, registration to //build/ was at max capacity with myself being among the many that were lucky enough to have processed the registration in time. This was a question I often heard when discussing the upcoming conference. Yes, the cost of the registration and travel expenses combined are not for the faint of heart, including the days of lost wages for a consultant. But for me, this was well worth the expense. This was all before I even knew what I was getting myself into. And now, after returning from a glorious week in sunny San Francisco, truth be told, how do I feel? Thankful, excited, and rejuvenated. Thankful that I had the opportunity to go, and was able to cover my own expenses to do so. Life is short, and often throws you a curveball when you least expect it. Seeing as how this year the stars aligned perfectly in my favour, I grabbed the bull by the horns and registered without hesitation. Who knows if I’ll have the chance next year or the year after that? I wasn’t going to let this one pass me by. Excited over the opportunities that are on the forefront for .NET Developers with Windows 10, Azure, and Office 365. Did your heart skip a beat when Joe Belfiore showed off Continuum for Windows Phone? Mine did. Did you drool at the HoloLens demo and wish you were the one walking around the stage, pinning virtual items to the wall, talking to a robot, and manipulating 3D holograms in real time? I sure did. Did you envision the potential opportunities for all Microsoft developers when seeing what Azure, Office 365, and the Windows 10 platform has to offer? Ditto for me. Rejuvenated after having spent a week with other professionals that share the same passion and excitement for not only what we do now, but for the possibilities that are open to us in the very near future. 2) Tried on the HoloLens!!!! 9) Shared the experience with friends over which session to see next, being collectively enamored with the “ooh” and “ahh” moments over the new APIs we learned about in the deep dive sessions, and been part of our post-session discussions as we compared notes and speculated on what opportunities this could bring. The //build/ conference isn’t just about the sessions you see on Channel 9. There is so much more to it than that. The ability to participate in focus groups, to voice your opinions on the marketing, direction or usability of a product – whether it be Visual Studio, Windows 10, and yes even HoloLens, is by far one of the most compelling reasons to attend. The networking opportunities to meet new people, who share the same interest and excitement as you do is always worthwhile. It’s refreshing to connect with others face-to-face rather than through the online medium we’ve become accustomed to. There’s no replacement for that, believe you me. 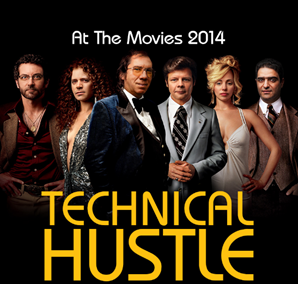 …then pencil off May 13th in your calendar, and make a point to join me and my fellow ObjectSharp colleagues at this year’s At The Movies event at the Bell TIFF Lightbox in downtown Toronto, where we will recap the highlights from //build/. It’s free, fun, and highly informative. Don’t miss out on yet another awesome event! Visit objectsharp.com/atm to register today! Looking back on 2014, I realize so much has changed in such a short time, and appreciate all of the good things that have come my way. Here are my favourite moments of 2014. I was beyond excited when I was awarded my very first (and hopefully not the last!) 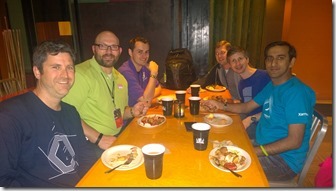 Microsoft MVP in April 2014! I have always admired and respected other Microsoft MVPs whose paths had crossed mine over the years, and to be considered part of that group is a huge honour. 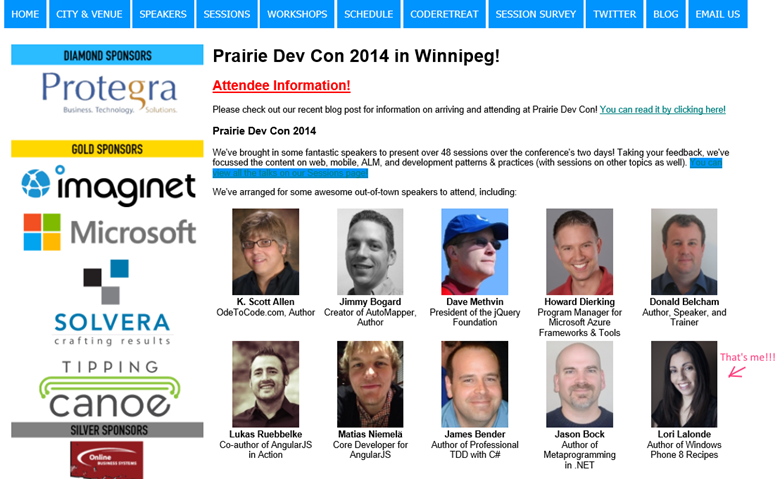 Prairie Dev Con was the first conference that accepted my session submissions, and so I was off to Winnipeg in early April to talk to people about Windows Phone development. 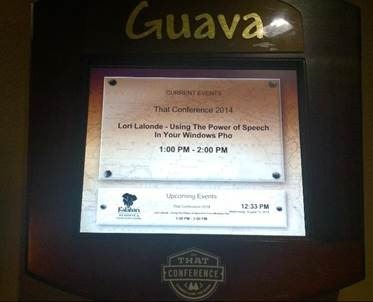 What a thrill it was to be part of a roster of all-star speakers! I felt lucky to not only have been selected to be a part of the conference, but to meet those people that I have learned from as well. 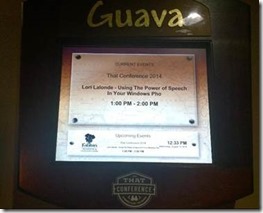 It was special to be at a conference with people who were there to learn and to have fun. Kudos to D’Arcy Lussier for organizing this fantastic conference each year. I’m excited to announce that I’ve have been selected to return to Prairie Dev Con Winnipeg 2015! My conference submission to That Conference 2014 was also accepted. The thrill and excitement to be a part of yet another conference is something I can’t describe. The best part of it being that it’s held at a family friendly venue - the Kalahari Resort in Wisconsin Dells. Although my children are both grown and had no interest in attending this with me, I still found it to be a wonderful experience to see others there with their families, and to see children participating in the conference as well! The opening keynote by Elizabeth Naramore was inspiring and worth watching. Big props to Greg Levenhagen and his crew for putting on a great event year in and year out! 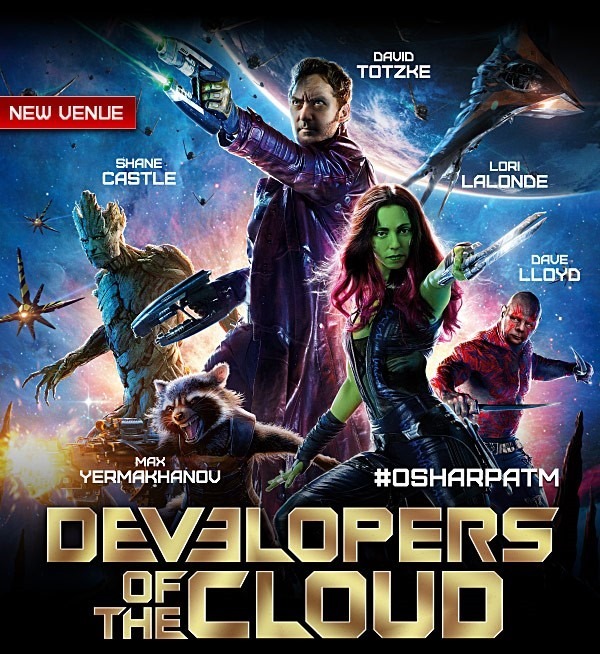 I was also invited to participate in ObjectSharp’s At the Movies event which was held at a movie theatre in downtown Toronto in May. It was an honour to be able to represent ObjectSharp and speak at this event, in front of an audience of over 300 people. The event was also recorded by Microsoft and is now currently up on the Channel 9 site, which makes it my second video appearance on Channel 9! Last but not least, I had the opportunity to present at both CTTDNUG’s Cloud Camp in early 2014, and at the London .NET Developers Group Cloud Camp in late 2014! Attended MVP Open Day and MVP Summit! Microsoft Canada hosted an Open Day in May 2014 for current Canadian MVPs. 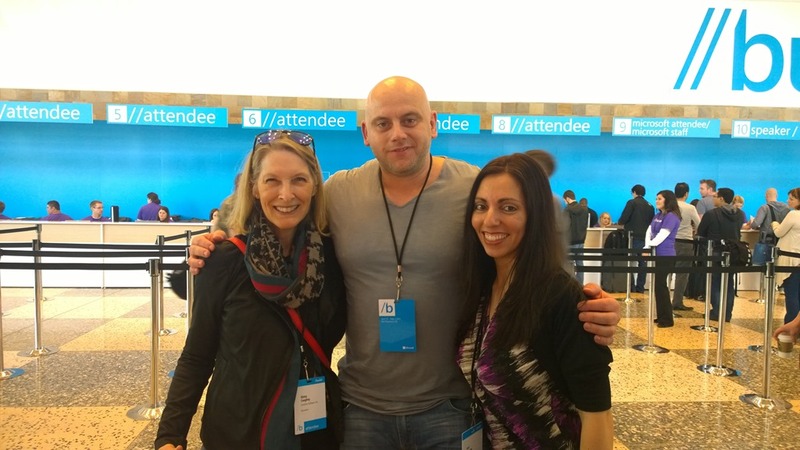 This was my first opportunity to attend an event where I would meet my MVP Lead, Simran Chaudhry, along with Joel Langford and the rest of the Microsoft team that focuses on the developer community. It was also a wonderful feeling to meet other MVPs from across the country. 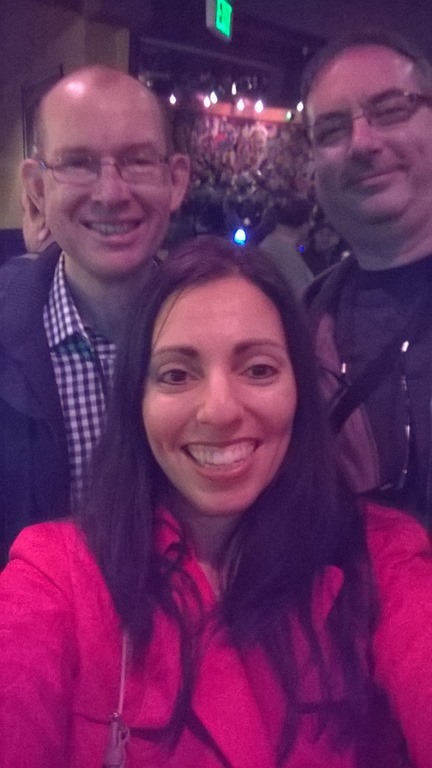 In November 2014, I was on a plane heading to Seattle to attend the MVP Global Summit where I met other MVPs from around the world. It was an experience like no other! Aside from attending the various sessions, the networking opportunities were priceless and the social events were fun. 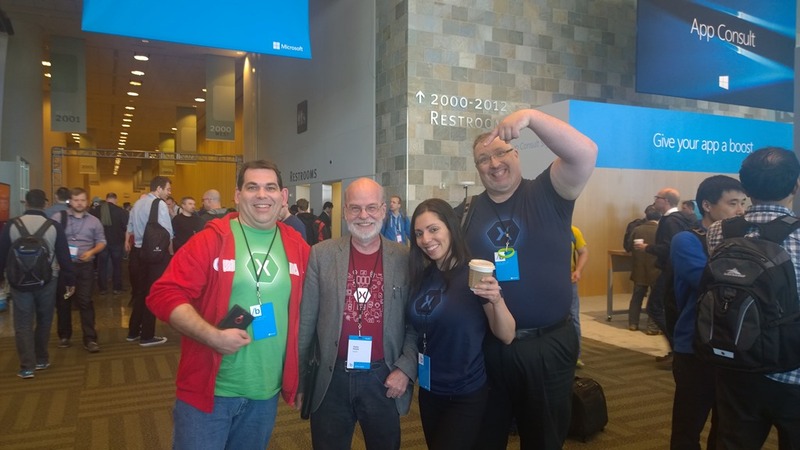 I met so many amazing people, including my MVP Summit roommate Sara Silva, as well as the father of MVVM Light, Laurent Bugnion. 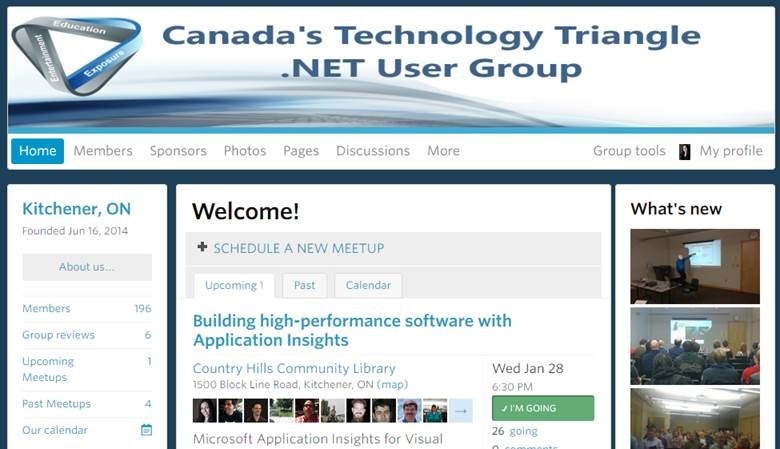 With the new Canadian Anti-Spam Legislation in place as of July 2014, I decided this was a perfect time to transition the Canadian Technology Triangle .NET User Group to Meetup.com, and ask members to join our Meetup group in order to deactivate the old web site. This was a risky move, considering we had a solid member base in place. I was worried about losing members, but it was a risk worth taking. As part of the legislation compliance, we were required to ask people to “opt-in” to email newsletters even though they were already in our database. The old site was built on an old version of Dot Net Nuke, and we had over 1000 registered emails in the CTTDNUG database which would have required manual vetting to determine which emails were still linked to valid members. Moving to Meetup made it easier for our members to manage their own email notifications, made it easier for them to join or leave our group without requiring any manual action on our end, and introduced our group to a wider audience. In less than 6 months, CTTDNUG has 196 members! 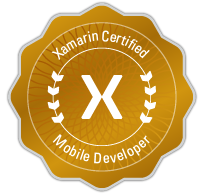 Early in the year, I subscribed to Xamarin University to learn firsthand from those that know about cross-platform development with Xamarin. I absolutely loved that the online classes were run by live instructors. Being able to interact with the instructors and other students only enhanced the learning experience. Along with that, Xamarin University provides the recordings of each class so that you can view them at your own convenience. I found this to be great to revisit topics where I needed a refresher as I was preparing for the certification exam. I’m not sure what 2015 has in store for me, but I know I don’t plan to sit idle. I plan to continue to learn, grow, and share my knowledge with others. 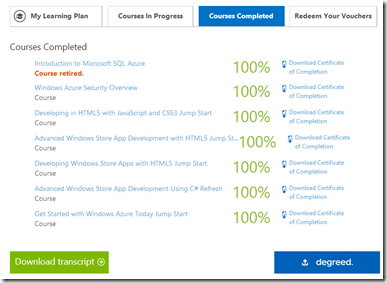 If you haven't heard of Microsoft Virtual Academy yet, now is the time. Microsoft Virtual Academy (MVA) provides you with access to countless hours of online training videos on the latest and greatest technologies all for FREE! 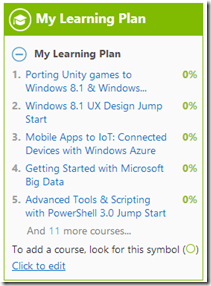 If you haven't registered for Microsoft Virtual Academy yet, do it now! You can register by going to their home page, and signing in with your Microsoft Live ID. Click HERE to get started! In addition to providing free online training, MVA also lets you set up your own Learning Plan, which allows you to queue up a selection of courses in a list for easy access when you log into your MVA account. You can also view your list of courses in progress, as well as courses completed, and even download a course completion certificate, or your MVA transcript. 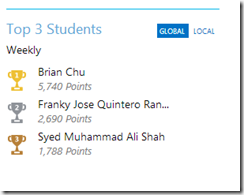 With each module that you complete, you earn points towards your MVA ranking. Each course has a total number of points that can be earned, but you still earn points by module. Completing a course will earn you bonus points. So what are you waiting for? 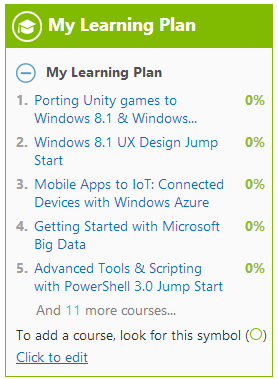 Get onto Microsoft Virtual Academy today, learn something new, and have fun along the way! 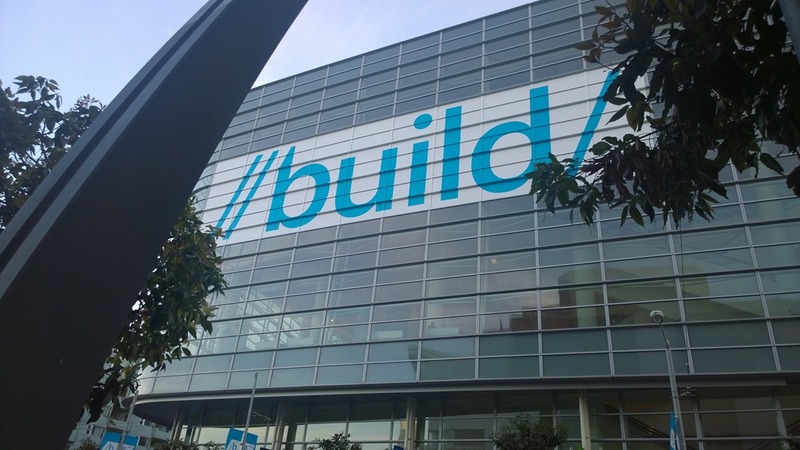 One of the major announcements at BUILD 2014 was the topic of universal apps. What are universal apps? 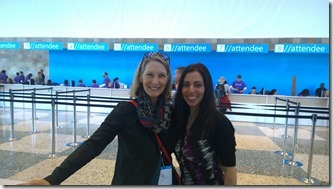 Check out the post, Extending Platform Commonality Through Universal Windows Apps on the Windows Blog to learn more about it. To enable developers to build universal apps, Microsoft released an update to Visual Studio 2013 which also installs the latest SDKs so that you can get started on developing apps which target Windows 8.1, Windows Phone 8.1 or both (ie. universal)! You can download the update from the Microsoft Download Center. I installed the update last night to have a quick peek at what has changed. The first noticeable difference is the grouping of templates for Windows Store and Windows Phone apps. Everything is now grouped under the label “Store apps”, from which you can choose to create Universal, Windows Store, or Windows Phone apps. 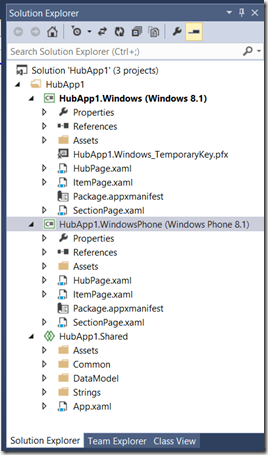 Drilling down to the Universal Apps, you can see there are a handful of templates available: Blank App, Hub App, Class Library, Windows Runtime Component. 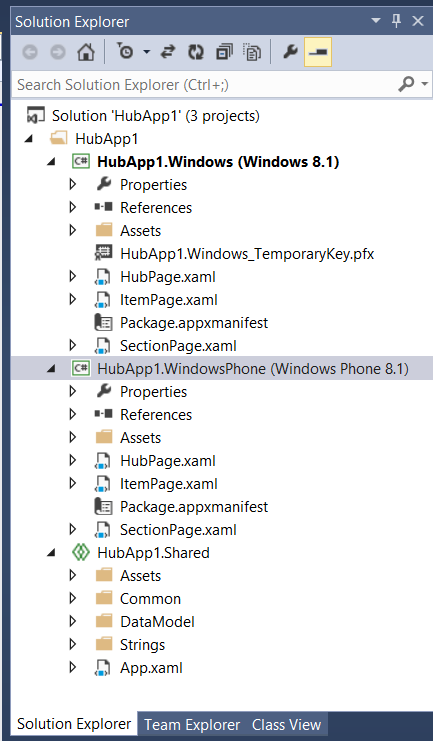 In creating a new Universal App using either the Blank App or Hub App template, you will notice that it creates a Windows 8.1, Windows Phone 8.1 and a Shared project by default. This allows you to create code that will be shared among both platforms in one location, similar to the concept of Portable Class Libraries, with one major difference…. the ability include your views in the Shared project! This concept was demonstrated at BUILD yesterday. If your views are designed properly (one example is to ensure you are not using fixed widths in your UI elements, folks), then your views will adapt to the resolution of the device that it is running on. Also, you will notice now that your projects will list the platform that it is targeting to the right of the project name. I plan on experimenting with the latest SDKs and writing more posts on my experiences in developing Universal apps. But those are posts for another day. In the meantime, check out Laurent Buignon wrote a post on building a Universal App using MVVM Light, which is a great starting point. The Windows Apps templates are pretty much the same as what was offered before, except the Portable Class Library template is no longer available here. Portable Class Libraries are available under the Universal Apps umbrella. The number of available Windows Phone templates has grown considerably in this update. The new Windows Phone 8.1 templates are labeled as “Windows Phone”. 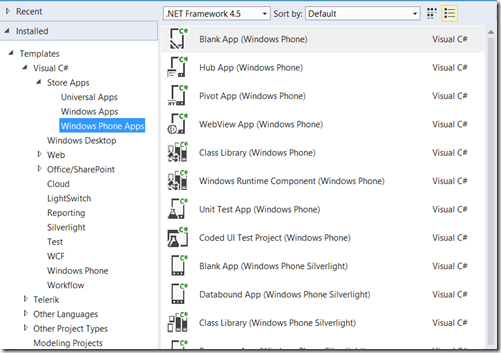 The original templates are still available, but are now labeled as “Windows Phone Silverlight”. This means that along with developing new WP8.1 apps, you can continue to develop new, and maintain any existing, WP8 apps. You will also notice that there is a WebView template. For those of you that have developed apps for Windows 8, you will be familiar with the WebView control, which allows you to embed HTML content into your app. This replaces the WebBrowser control, which is no longer available when creating new WP8.1 apps. However, the WebBrowser control is available in WP8 apps, and in WP8 apps that have been retargeted to WP8.1. 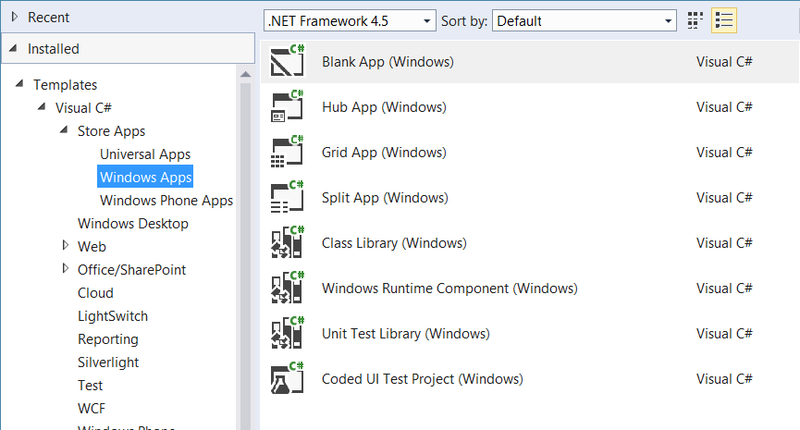 Also, you can see that Coded UI Test Projects are now available for Windows Phone! 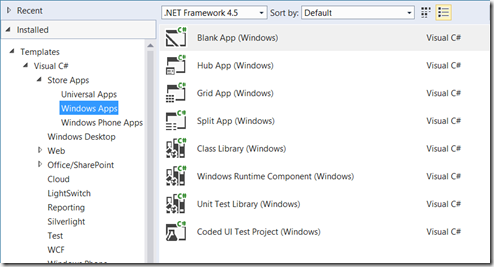 This was just a quick look at the new templates available in the latest VS2013 update, as well as the ability to create universal Windows apps. We have only scratched the surface of what’s new in VS2013 Update 2 RC. More posts will follow on my experiences with the latest update. But for now, you should download the update for yourself, and dive right in! This past Sunday, CTTDNUG hosted its annual workshop. 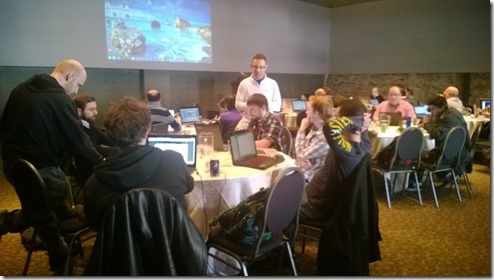 This year, the focus was on Windows Azure and it was held at The Tannery Event Centre in downtown Kitchener. For those of you that live in the KW area, you know that the Tannery is a pretty prime location for hosting events. So I was really excited about securing this venue for this year’s workshop. In the months leading up to the workshop, I had a campaign going to convince the “Cloud Guy”, Jonathan Rozenblit, to come out to our event to give the keynote presentation and assist with running the hands-on labs. In order to convince Jonathan that we were a serious bunch of devs (aside from the fact that our CTTDNUG members are cool, amazing, and fun), I asked our members to start ramping up ahead of time, on any technology that their hearts desired, by watching free video sessions on the Microsoft Virtual Academy web site. 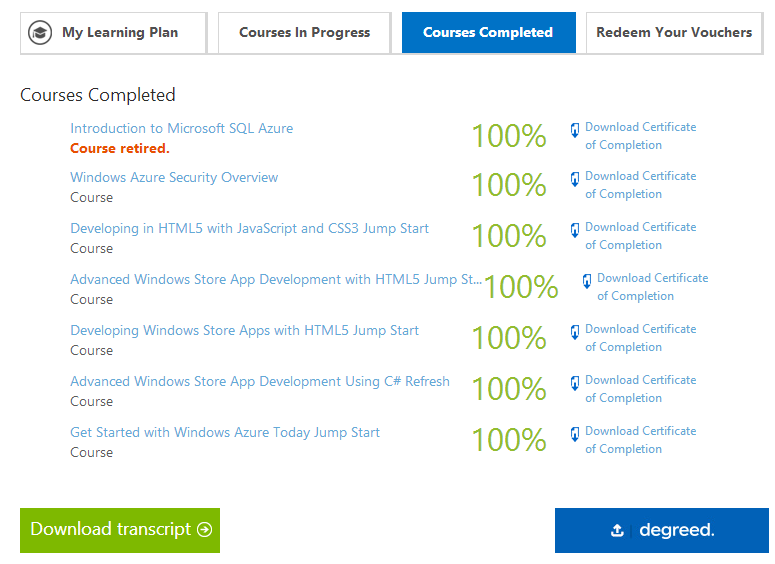 For those developers that completed at least 2 courses, Jonathan was willing to award them an extra 100 points on their MVA profile. As I expected, our CTTDNUG members rose to the occasion to watch as many MVA sessions as they could. It really was a win-win deal for our members. Free training videos on the latest technologies, plus bonus points just for learning, plus the fact that we could convince one of Microsoft’s very own Cloud Experts to participate in our camp! We welcomed just over 30 people at our camp on Sunday! 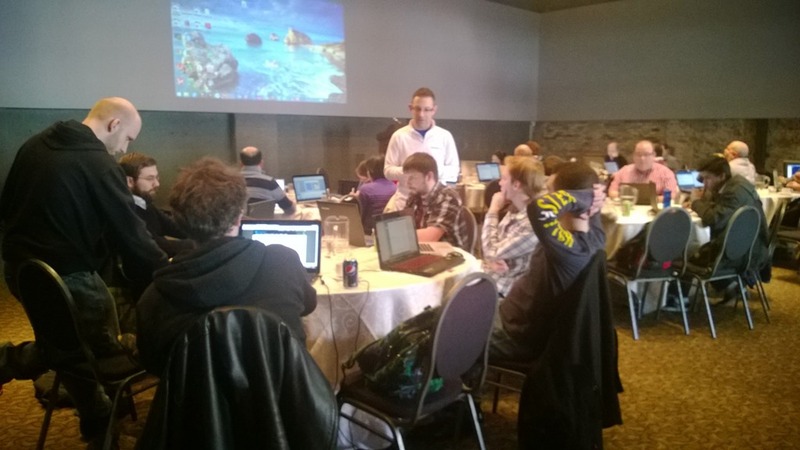 True to his word, Jonathan delivered a great keynote presentation to kick off the day long workshop, followed by a hands-on lab where our camp attendees learned how to build ASP.NET web sites in Azure. Next up to bat, our very own CTTDNUG volunteer and Azure Community Expert, Tom Walker was up to talk about Windows Azure Virtual Machines. He wrapped up his great presentation with a hands-on lab to walk the group through setting up VMs in the Cloud. Last but not least, I had the opportunity to present the final session on Windows Azure Mobile Services, demonstrating many of the cool features that are included (data storage and dynamic schemas, push notifications, scheduler, authentication, and so much more! ), which was also followed by a hands-on lab to allow the attendees to get a Windows 8.1 app connected to Azure Mobile Services up and running. We wrapped up the day o’ fun with some pretty sweet prize giveaways including a Telerik DevCraft license, Telerik Kendo UI license, a 1 year subscription to Pluralsight, books donated by O’Reilly and Apress, and a Lenovo Miix 2 8” Windows 8.1 tablet! Thanks to my fellow presenters, Jonathan and Tom, for helping out during the camp. Tom was also our resident photographer, who took some great photos during the camp which are posted on the CTTDNUG Facebook page. Jonathan assisted with troubleshooting issues during the hands-on labs, and for some of the demos that weren’t working quite right. He also saved the day by assisting an elderly lady who had fallen outside in the parking lot. A Superhero cape is awarded to him for this alone! Thanks to Bingeman’s who catered the event at the Tannery! Everything was setup perfectly for our workshop. The food was fabulous, including a great selection of drinks during breakfast and lunch, and there was a never ending supply of coffee and water throughout the day for our attendees! Thanks to everyone that attended and participated! You are the reason we continue to host these types of workshops. We hope you enjoyed learning as much as we enjoyed teaching! The event was a huge success because of the active participation from our members and the support we received from our sponsors. Special thanks to our event sponsors for supporting CTTDNUG and helping us to make this the event of the year for our members: Microsoft Canada, Telerik, Pluralsight, Apress, O'Reilly, and Solola Solutions Inc.
I’m happy to say that we had a great turnout for the event and we received positive feedback from those that attended. If you can’t make it out to a full day’s workshop in person, then go to the Microsoft Virtual Academy site to watch videos at your own pace, on a variety of technologies…for free! Ready to start building cloud-connected apps? 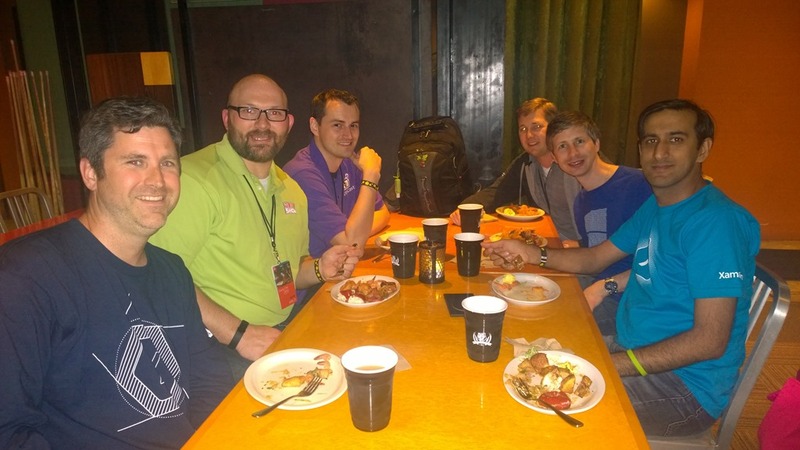 If you attended our camp, or watched a ton of training videos on the MVA site, and are ready to start building cloud-connected apps, be sure to register for the Developer Movement first, so that you can earn points for your efforts! Those points can then be cashed in for prizes! If you haven’t heard of the Developer Movement, check out my recent post, “The Developer Movement Is Back”, to learn more about it! When I reflect back on 2013, I think “Lucky me”. A year that started off with uncertainty had turned into one filled with achieving some significant career milestones. These were goals I had set for myself as part of a bucket list years ago, and in 2013 I managed to cross a few off that list. My first book proposal was accepted by Apress. I was over the moon, but knew the hard work was just beginning. My friend/colleague, David Totzke, and I spent the next 7 months working evenings and weekends to complete this project. When it was published, I was quite ecstatic. This was a major milestone for me. I always thought “someday” I wanted to write a technical book. Most people asked “Why?”. The main reason being that I have always found technical books the best resource to learn from, and wanted to one day make my contribution to the industry in the same way. Receiving feedback from people who have read my book, and being told that it helped them to get started on their path to mobile app development, gives me a great sense of pride and satisfaction. At the same time, I was lucky enough to have joined the ObjectSharp team, a group of talented professionals who I always admired. Not only to join them, but to be welcomed with open arms, to be recognized and respected, and to be given opportunities as a consultant I had only dreamed of at one time in my career, but thought was out of reach. Working with an elite team of professionals is a dream come true. For someone like myself, who loves to continue to learn and grow, being surrounded by this type of talent is simply amazing. Being asked to participate in a web broadcast, Developer Camp session for Microsoft Canada was something that wasn’t even on my radar as a remote possibility. And shortly after joining ObjectSharp, there it was. That session is now archived on Microsoft’s Channel 9 site. There were no words to describe how I felt about that, except I did pinch myself a few times to make sure I wasn’t dreaming. 1) You Have What It Takes To Be A Mobile App Developer… You Really Do! 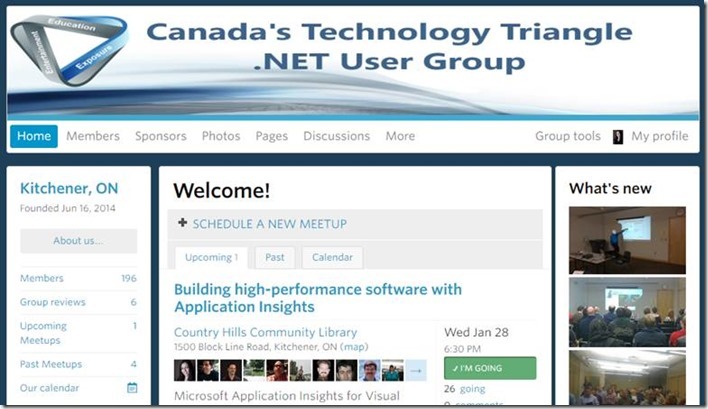 Granted I have been running the local area .NET User Group since the end of 2011, but this is a group that I love wholeheartedly. So they are at the top of my list every year. I’m always looking for ways to make the group fun and keep the content fresh for our regular attendees, while also looking at ways to raise awareness and increase interest in the group for students and professionals that don’t know about us yet. One big win for 2013, was a noticeable increase in women that attended our sessions on a regular basis. Providing a group that appeals to everyone, across the board, is what matters most. I feel that we achieved that in 2013. I say we, because I have a great group of volunteers that have been working just as hard to make this group awesome: David Totzke (who was the original founder in 2002 and ran the group for 9 years before allowing me to take over), Jamie Robinson, Steve Karnis, Ken Cenerelli, and Tom Walker. They are a talented group of professionals, with a strong dedication to this group. Without their help, this group wouldn’t be as vibrant as it is today. I appreciate them wholeheartedly and can’t thank them enough for what they’ve done and continue to do for our .NET User Group. I have more items on that bucket list, and my goal for 2014 is to knock one, maybe two, off that list. It may not sound so ambitious, but I’d prefer to have one or two things to work towards, while keeping myself open to new possibilities and opportunities, rather than bogging myself down with lists and creating some sort of career tunnel vision. After all the best opportunities out there are the ones that you don’t even know about yet! 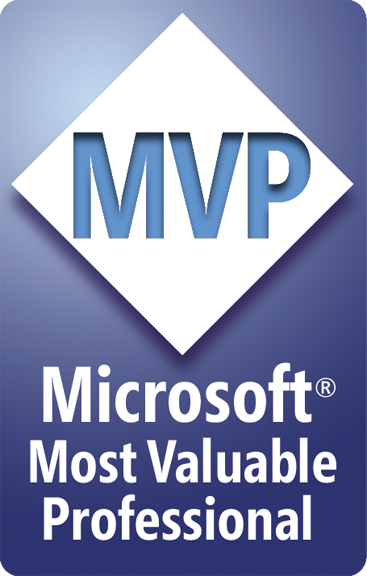 On April 1st, 2014, I was awarded Microsoft MVP, Client Development! I am extremely proud and honoured to be part of such a great community! 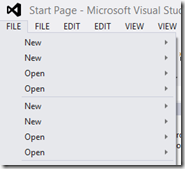 Seeing Double in Visual Studio 2012? Exhibit A – Is this an April fool’s joke? My troubleshooting skills kicked in, and I did what any person would do in this situation. I gave my laptop the old 3-finger salute, poured myself a coffee, and launched Visual Studio again. Fixed? Nope. Still broken, as evidenced in Exhibit B. My last resort was to just reapply the latest VS Update. I figured something had gone awry on my machine overnight because I couldn’t run Firefox either. After a repair of Update 3, and one last computer restart…. voila! 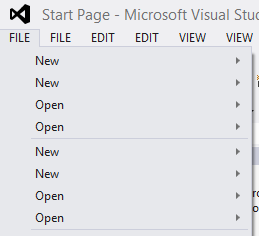 Visual Studio 2012 is back to its old self again! If you’ve experienced this oddity in Visual Studio, and found a simpler approach to fixing it, let me know. Otherwise, if you find yourself in this situation, and aren’t sure what to do, just try to reapply the latest update and see if that gets you seeing straight again. 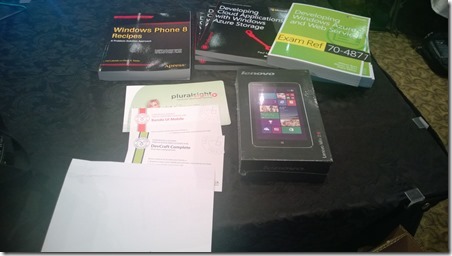 As you know, my colleague, David Totzke and I, published an Apress book on Windows Phone 8 development. Nearing the end of the writing process, we were lucky enough to have the book’s Foreward written by Paul Laberge, Senior Technical Evangelist at Microsoft Canada. Unfortunately, the Foreward didn’t make it into the printed hard copy of the book, but it is available for download as a PDF when you purchase the book. However, I loved what he wrote, and felt it was worth sharing with everyone. So, I have received permission from Apress to publish it in a blog post (thanks Apress!). Thanks Paul for taking the time to write it! 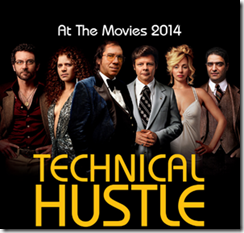 Throughout my career in technology, and most certainly in my seven years (and counting!) 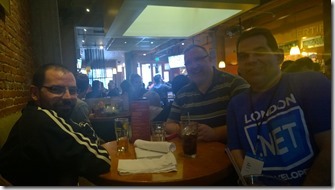 at Microsoft, I have been blessed to meet many amazing people passionate about building great software. 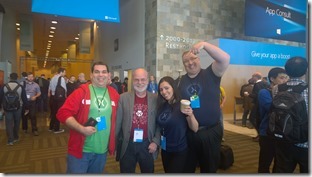 When I was asked by Lori Lalonde and David Totzke to write a foreword for Windows Phone 8 Recipes, I was excited to do so because these are two people that I value not only as experts in the Windows Phone development field, but also as passionate advocates for building great software in the community. 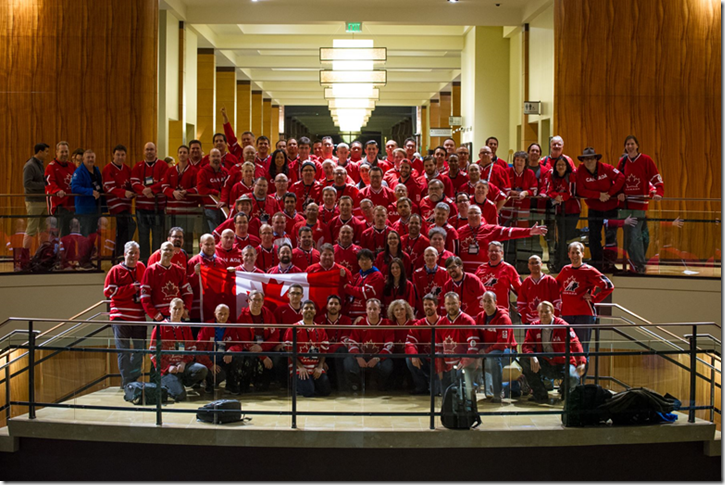 My role at Microsoft allows me to work with many people across the country who are helping developers build on their skills through organizations like community user groups. David and Lori are two such individuals who are very involved in the Kitchener/Waterloo technology scene, running Canada’s Technology Triangle .NET User Group (affectionately abbreviated as CTTDNUG). 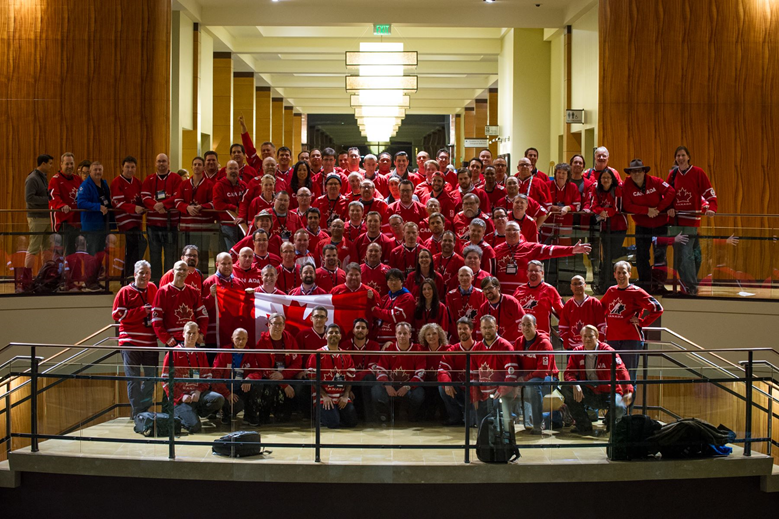 They built their user group community from scratch, and now have some of Canada's most engaged, knowledgeable and passionate developers attending their monthly meetings. 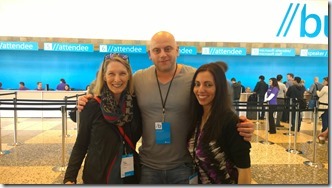 I have had the honor of speaking at their meetings on topics like Windows Phone development and Microsoft’s Modern UI and I have thoroughly enjoyed working with David and Lori in this capacity. 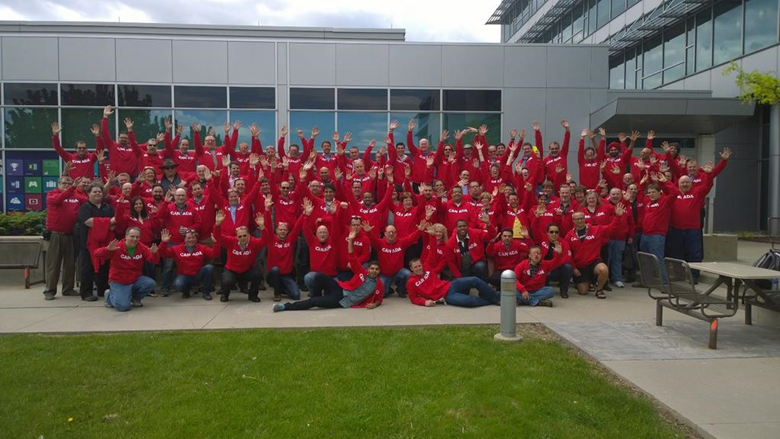 They clearly have their fingers on the pulse of their community and continue to be extremely valuable advocates for the Microsoft platform, for which all of us at Microsoft are thankful. My own journey with Windows Phone began roughly a year before the release of Windows Phone 7, when my team began evangelizing the platform to developers. Looking back at this journey to-date, it has been an exciting ride and I can truly say that this platform has ignited in me a passion for technology that I’ve never experienced before. Windows Phone represents an extension of the user, not just a device that fits in your pocket, and it has changed how I interact with technology, positively and permanently. I am seeing this same passion ignited in developers across the world as they discover not only that their app ideas can come to life but that they can be published to the store successfully without a lot of prior knowledge of the platform. A consistent message I hear from new Windows Phone developers is that it is surprisingly easy to get started and be productive. That said, sometimes knowing where to start is the hardest part. Yes, there is a lot of information out there to get you going, but what if you need to learn how to do something specific and you don’t want to spend a lot of time searching for it? Then this is the book for you. You can use it not only to kick start your app code but also as a fantastic reference that can help you get the most out of the many amazing features that Windows Phone has to offer. So turn your app idea into a reality on Windows Phone today. This book will help you get there, and you’ll have a lot of fun coding it along the way. Windows Phone 8 Recipes - Publication Day! My first book, Windows Phone 8 Recipes, which I co-authored with David Totzke, is officially being published today and I couldn’t be more excited! I hate to say that the response was not well-received when I explained that I was writing a technical book on Windows Phone development. Mainly because none of them are Windows Phone developers…or any other kind of developer for that matter. So they didn’t understand the significance of such a book. They felt my writing would be best put to use to regale the wild and crazy stories from my youth that they all have been privy to. Better yet, they wanted me to extend my blog posts about my experiences in the work place into a full-fledged novel. Don’t worry dear friends, someday, maybe I’ll be so inclined to share those stories. But today is not that day. During the months that followed, I received a lot of criticism and negativity from those around me. “How’s that book coming along? 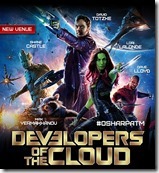 Is it ever going to get published?”, “I bet you won’t sell 100 copies.”, “Windows Phone? Who uses a Windows Phone?”. But I did what I do best, I shut out the negativity and remained positive. Because I believe in this platform, and because finally…. 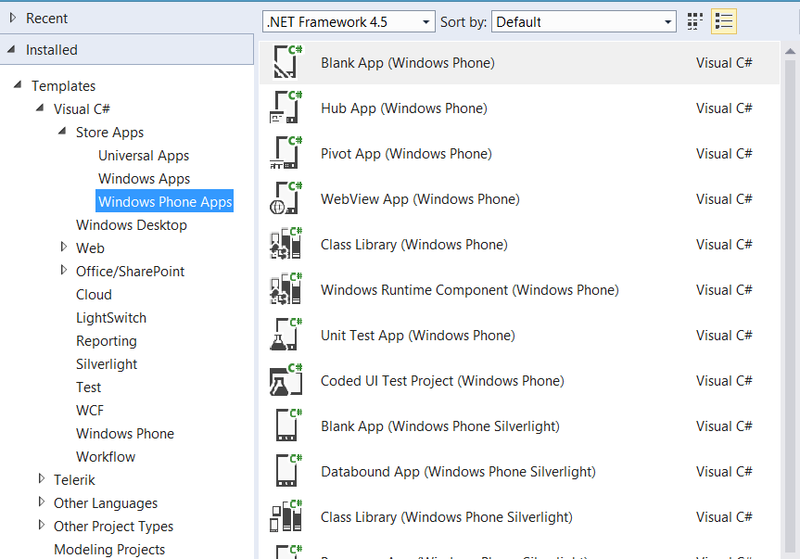 FINALLY… a .NET developer can actually develop a quality mobile app in record time. Even Android and BlackBerry developers that have attended Windows Phone development workshops hosted by our User Group, admitted that an app that they built in a week, or even a weekend, for Windows Phone would have been months of development on another platform. And the end result would not have been as polished or visually appealing. I also know this first hand, because I’ve tried my hand at BlackBerry development, and it was a long and painful process. Admittedly, I was very excited about getting my very first BlackBerry app published, but I really didn’t have the time or patience to develop any more hobby apps for that platform considering the time it took to build a simple, single-purpose app. To be fair, I have also received a lot of positive feedback about this book, mainly from my peers at ObjectSharp Consulting. From all of the positive emails (thanks, fellow ObjectSharpees! ), to an obscene amount of mentions on their social feeds (thanks Pam and Bruce! 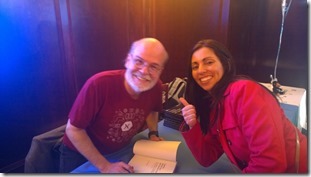 ), to a special blog post by the one and only Bruce Johnson, http://blogs.objectsharp.com/post/2013/04/15/Welcome-to-the-Author-Fold.aspx (thanks again, Bruce! ), I want them all to know how much I appreciate the good vibes you sent our way during this process. I have embraced that positivity and that was the fuel that kept me going right through to the very end. I also want to thank the entire team at Apress that helped us to make this book a reality: Gwenan Spearing, Kevin Shea, James Markham, along with many others at Apress that worked behind the scenes on this book. Last but not least, thanks to all of you who are reading this post, and who have just been inspired to buy my book from Apress or Amazon. I hope you find just as much joy in the reading, as we found in the writing!